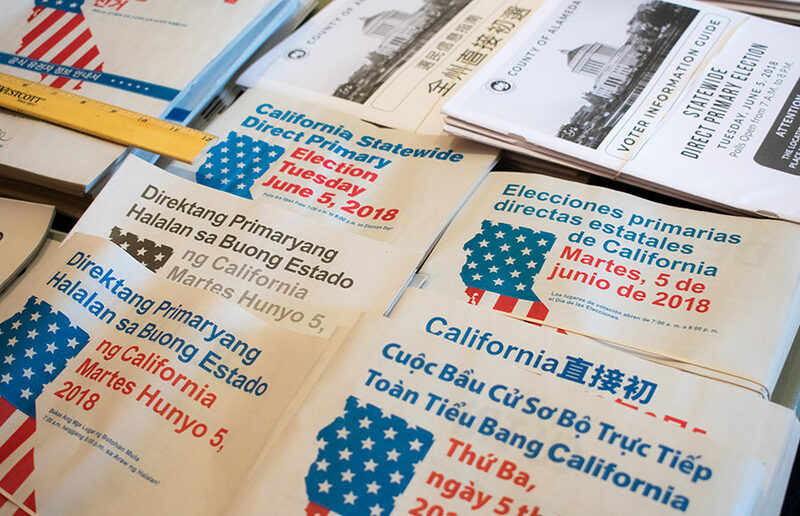 The Daily Californian will continually update this page as Alameda County’s results for the 2018 California primary election come in. Polls closed June 5 at 8 p.m. Beyond county positions such as district attorney and assessor, voters in Berkeley are also casting their votes for a replacement for Gov. Jerry Brown as well as a U.S. senator. Under California’s top-two primary system, the two top candidates for a position — regardless of party affiliation — will continue to the November general election. Incumbents are indicated by an asterisk (*). This article was last updated June 14 at 5:01. The listed results for federal and state positions, as well as state measures, are based on voting data from all California voters. The results for judicial and county positions, as well as local measures, are based on voting data from Alameda County voters. Ketki Samel is the managing editor. Contact her at [email protected] and follow her on Twitter at @ketkisamel.